Home » Animegood Super Store » Dragon Ball Z Movie Broly 3-Pack DVD Brand NEW! 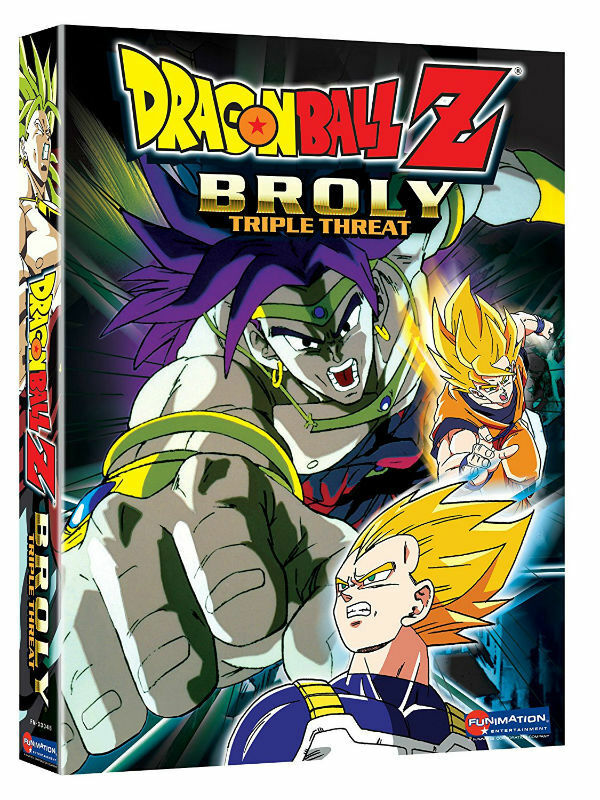 Dragon Ball Z Movie Broly 3-Pack DVD Brand NEW! Dragon Ball Z Movie Broly 3-Pack Box Set DVD Brand NEW Factory Seal! Official Licensed Product, 100% Authentic Guaranteed. Spoken Languages: English Japanese / Subtitles: English Format: DVD Item Code: 704400030468 Running Time: 145 Minutes Manufacturer: FUNimation Ages: 12 Condition: Brand new Availability: In Stock – Usually Ship within 2 days! We will not Guaranteed item will still have stock available (Special during Holiday) if payment not receive in 2 business day! All will be filled on a first come, first served basic. So, please make Immediate payment to avoid disappointment! If you have any question please contact us. We'll be happy to answer any questions. More information please view Seller policies section. Appreciated your kindly understand!